Web monitoring of the opinions and emotions. 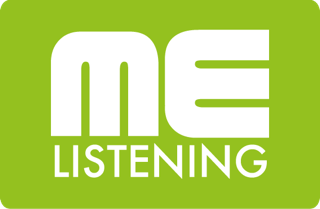 ME It is the perfect tool for listening and real-time analysis of web, press and Social Media. ME It is based on a semantic engine capable of interpreting the content of the information. Find out who really influence the discussions about you. 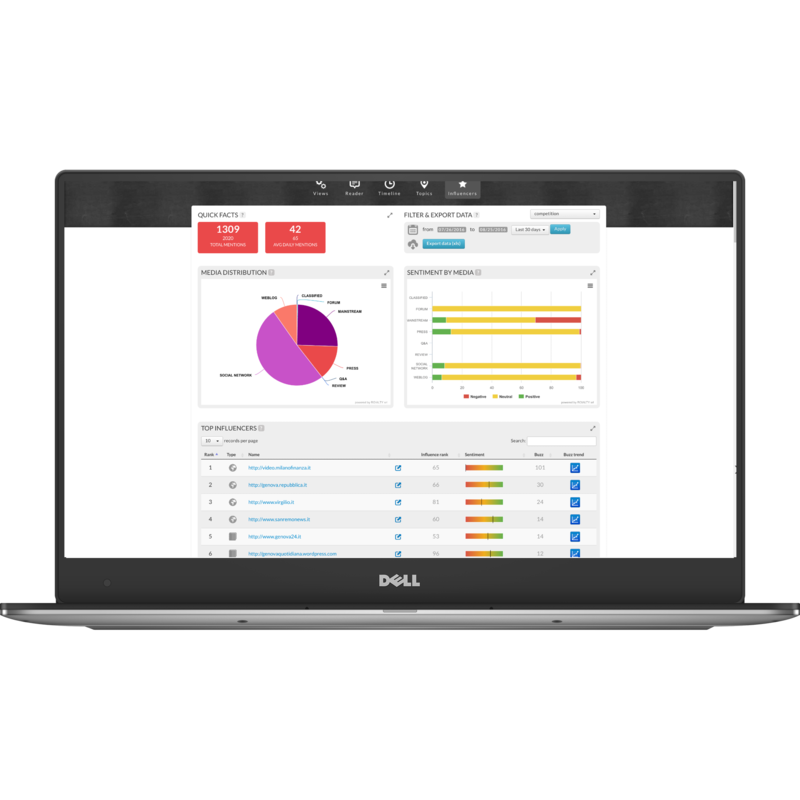 Monitor the level of engagement in your network. ME allows constant monitoring of all the competitors than the monitored topics. ME helps to discover the best practices in real time. 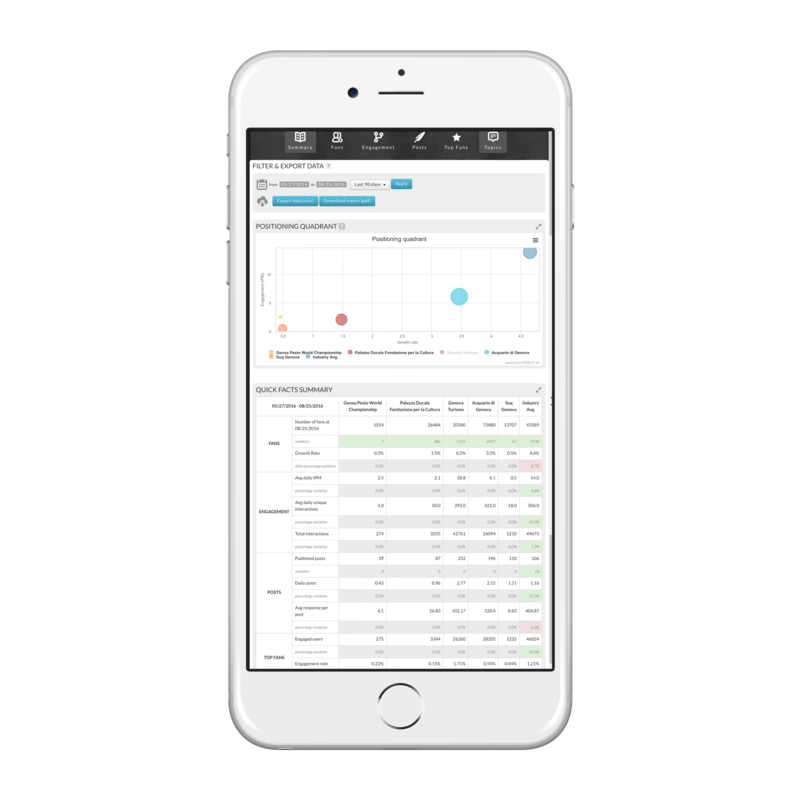 Compare your competitors in real time. Sets graphics for each measurement with just a few quick clicks. Directly display the individual contents from any monitored web source. 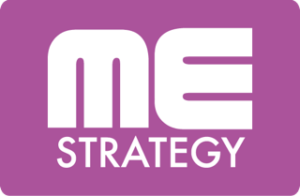 We help you find a tailor-made strategy, keeping it under real time monitoring. ME It provides all the information to create a tailor-made communication strategy. MEallows a prompt and detailed “crisis management”. constantly refresh your research and your monitoring. Profiles key influencers and detractors. Respond in real time to any news or web communication and social. Monitoring Emotion allows you to have an user-friendly interface accessible from your browser with real time updated graphics and with all types of custom reporting. Clear the indistinct noise that is covering all the interesting contents by diluting them in a sea of scattered and useless information. 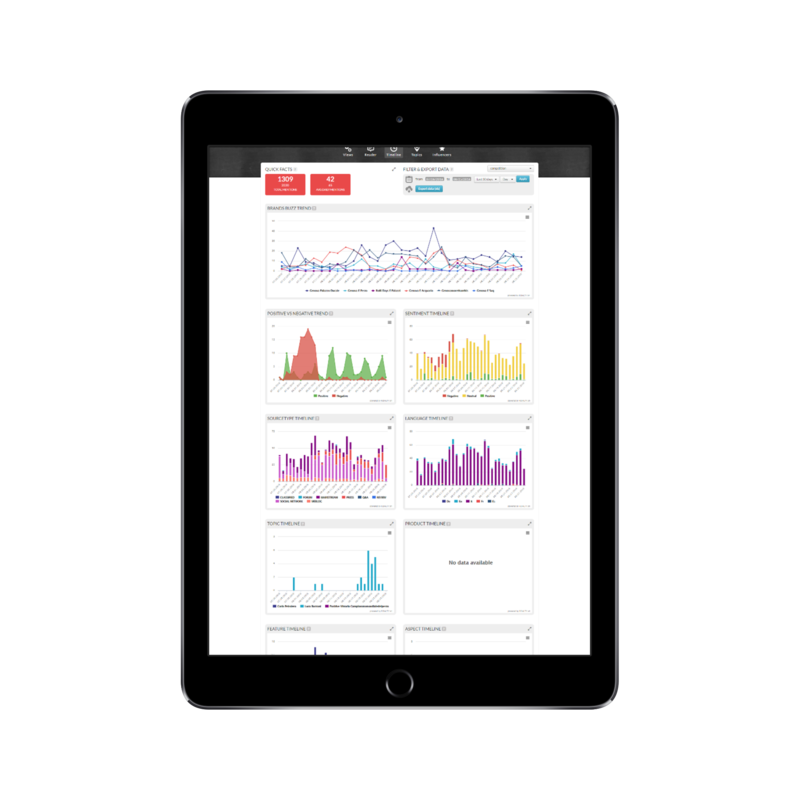 Analyze the web and monitor real-time sentiment with constant updating of search queries. Identify and read the single social post or article directly from charts, linking analyzes with reality.